Southwest Transplant Alliance (STA) hosted an annual “donor appreciation day” in April, 1996 at a building in the Texas State Fairgrounds. STA is the entity that promotes organ donation, and coordinates the logistics of connecting a recipient to the correct organ. This, of course, was our first time to attend an event of this sort, so we did not know what to expect. We attended mainly out of respect and appreciation for those who came out on, ”the short end of the life stick.” Yes, we were still dealing with some guilt but were slowly approaching a balance borne of appreciation. We were there with our two boys, proud to display our hairy little example of transplant success, yet feeling guilty winning the life lottery ticket while so many around us were recalling their painful losses. Donor families were introduced, and walked to the stage, one at a time to receive a gift and appreciative applause from the audience. Somewhere in the middle of the procession, I heard the name, and I recognized the faces – it was our donor family. I fidgeted with uncertainty. Do we stay hidden? Do we just walk up to them and say “Hey, what's up? FYI, our little boy has your little boy's heart”? What would be their reaction even knowing we were in the same room? How do I say “thank you” and “I'm sorry” all at once? Could I hold myself together in front of them? By the time the ceremony ended and the reception began, I had decided to speak with Pam, a friend in charge of marketing for STA and let her handle communications. “If they're ready to meet us, we'd love to meet them.” She left to deliver our message. 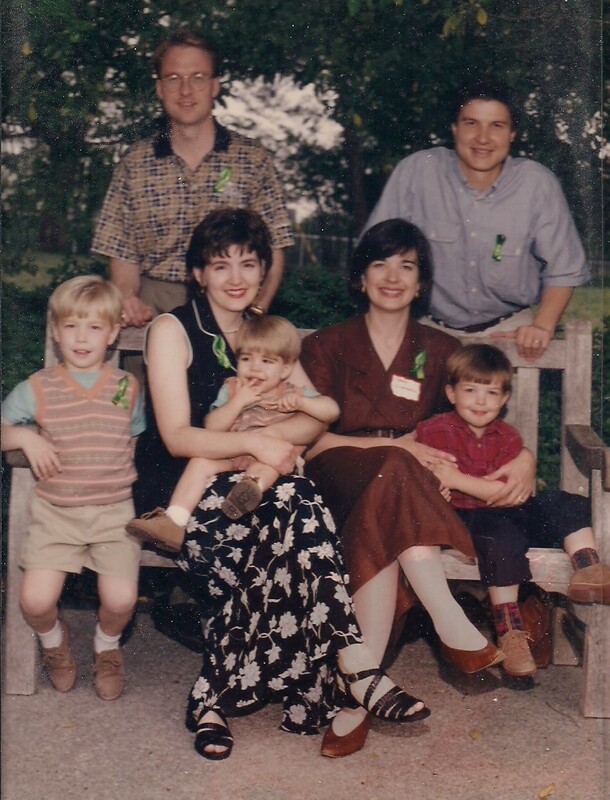 Pam returned soon after to say they were prepared to meet our family, so, stomach knots firmly in place, we followed her to the front of the room where Gary and Sarah Lindemann stood with their older boy, Andrew. My question was instantly answered – no, I could not hold myself together being face to face with the people who had played a major role in saving Trenton's life. Thankfully, Valerie was nearby to lose it even more. She and Sarah immediately hugged tightly and nonstop, crying in complete understanding of each other as mothers. Now, I have never had a problem hugging my male friends, but Gary was the first guy I have ever hugged without actually knowing first, and it was great. It felt like “thank you” and “I'm sorry” all rolled into one. We made our way outside to get acquainted and give the three boys a chance to run around the gardens. Valerie would later tell me she was nervous about saying the wrong thing to Sarah, meaning well but not expressing it properly. The two mothers sat and talked while Gary and I strolled the lawn watching the boys. The sight of their Andrew, with our Austin and Trenton, running around as a group was beautiful and bitter sweet, knowing how blessed we were to have the littlest running carefree after the two bigger boys, but knowing someone else belonged there too. It was then that I noticed similarities. They had an older son not much different in age than Austin, and it was their younger son, David, who had saved the life of our younger son. As we walked, Gary said, “I was not going to let death win this time. Donation was our way of cheating death.” I was impressed and obviously appreciative of his attitude, but in the back of my mind wondered whether I would have the presence of mind to think the same way in his position. We eventually returned to the mothers at which time, seeing them seated side by side, I noticed another similarity. Valerie and Sarah looked like sisters. In fact, they looked more like sisters than Valerie and her sister (sorry, Vicki). Gary and I? It was stunning how he too was highly intelligent and ruggedly handsome (hey, this is my blog; just go with it). When we finally parted with the Lindemanns, and headed home, I thought about our time and wished I could have done something more to show our sympathy and appreciation. I don't remember if it was days or weeks, but Pam from STA eventually called, sharing with me a conversation between her and Gary Lindemann. “He said, seeing Trenton running around, it was the first time Sarah had smiled since baby David passed away and added, 'It's like I got my wife back. '” So, there was a gift we could give them. Whether it was enough, we couldn't worry about that, and instead needed to focus on thankfulness that we were able to give something. Smiles, relief, happiness, love – you can't place a value on them and you don't have to. Just be thankful when they are present, and especially when you can create them for someone else. I typically write these blog posts for a lesson, but not this time. 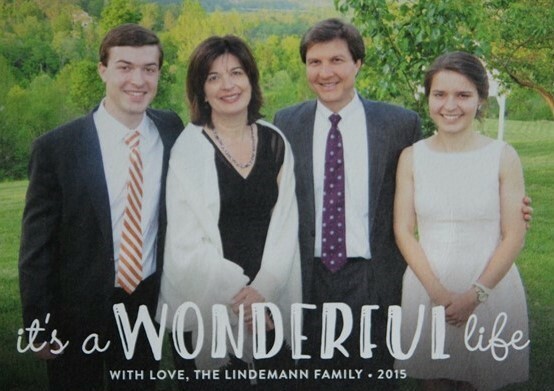 This one’s solely for the Lindemanns, a unique relationship in our lives, and a family for which, after two decades, we are Still Thankful.